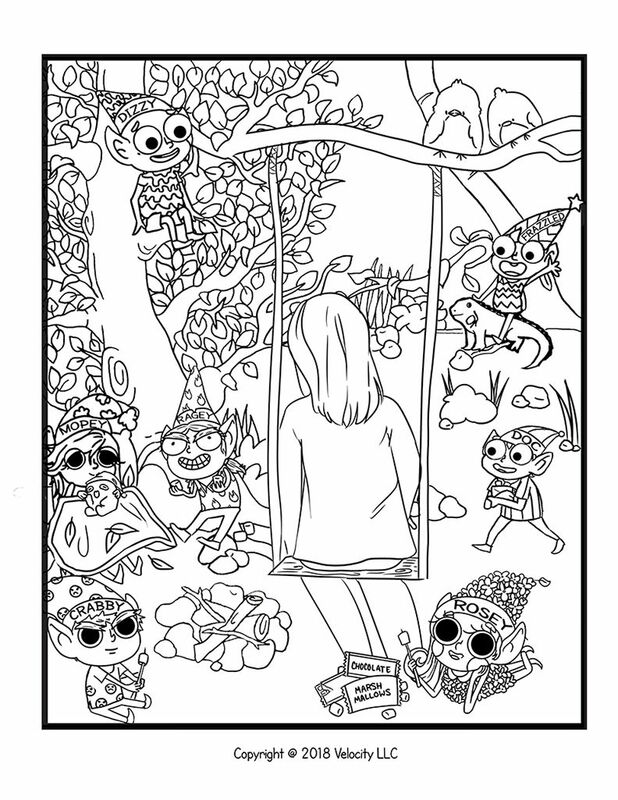 A coloring book for friends, families and those affected by cancer. The 7 Dwarfettes of Cancer, characters from the book. Friends and family postcard pages. A way to send something special for support. Debbie MacDougall author of Cancer: The Can*** Coloring Book. The book’s Superhero Puppet is a fun way to show support and encouragement. 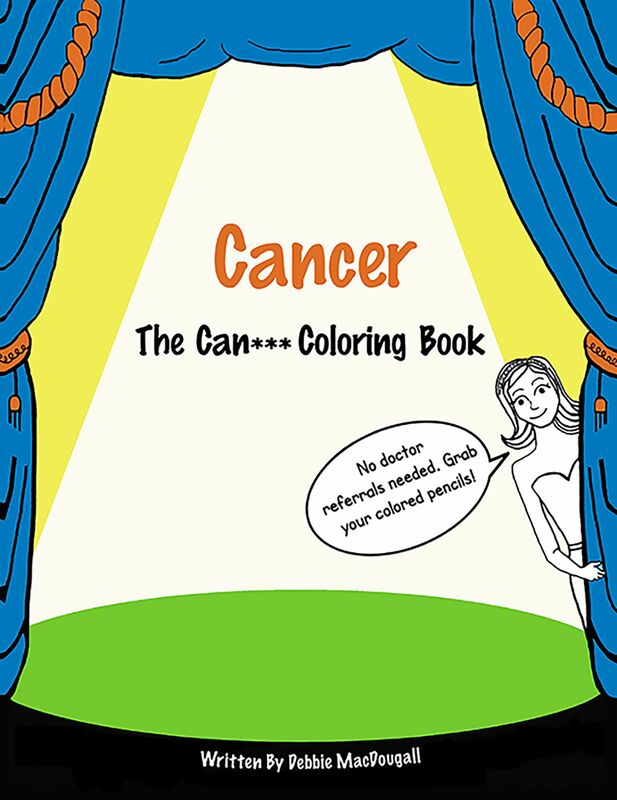 WASHINGTON - March 23, 2018 - PRLog -- The second in a series of coloring books written and published to bring humor to a distressing subject, "Cancer: The Can*** Coloring Book," provides tools not only for the cancer patient, but her family and friends. Once again, Debbie MacDougall, author and President of The Velocity Effect, "a company that finds the good in the grim," has drawn on her own experience to bring to the public a sometimes witty, sometimes tearfully beautiful and always funny book to help ease pain. MacDougall's first husband died of Adno Carcinoma. 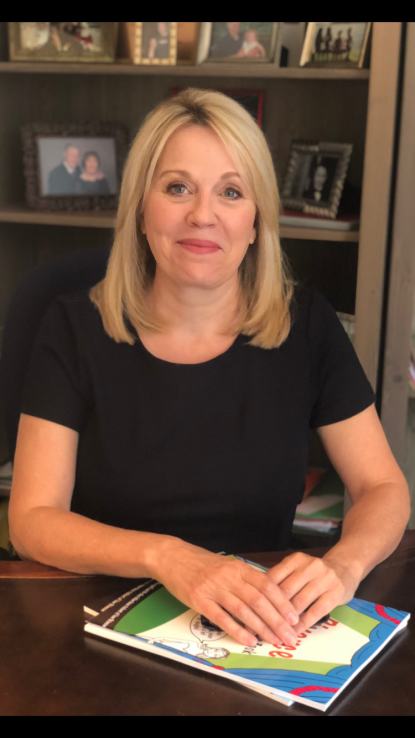 "As a young wife and mother of two children age three and five, I saw first-hand the crushing effects of a cancer diagnosis," says MacDougall, 55. On the 20th anniversary of her husband's death, MacDougall has created a positive tool for those battling cancer, their loved ones and their friends. "I decided the word cancer needed an editorial tweak. So we blanked out the last three letters to focus on the word, 'can' in a lighthearted way." Globally, more than 14-million people are diagnosed with cancer each year. Few families will escape contact with this disease when nearly 4 out of every 10 Americans are diagnosed with cancer. Cancer Control Month honors the memory of loved ones lost to cancer and celebrates those who have survived. "Cancer is still the second-leading cause of death in the United States and causes too much suffering for too many of our families and communities," writes the presidential proclamation. "Throughout April, we promote methods to combat cancer and we recognize the thousands of medical professionals, public health advocates, scientific researchers, innovative companies, and family members and friends who treat, find cures for, and support those suffering from all forms of cancer." Often, friends and family don't know what to do to show they care, to help. "With all the noise a cancer diagnosis brings, I wanted to give friends and family tools they can actually use to help them rally together for the patient's road ahead." 1. 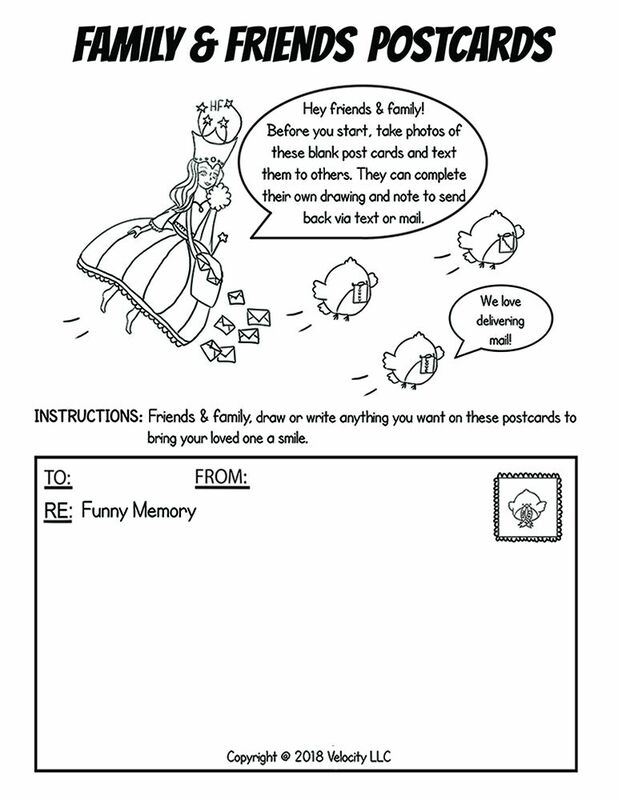 POSTCARDS: Use two postcard pages to draw or write a note in the book or email or text a copy to your friend or loved one. 2. 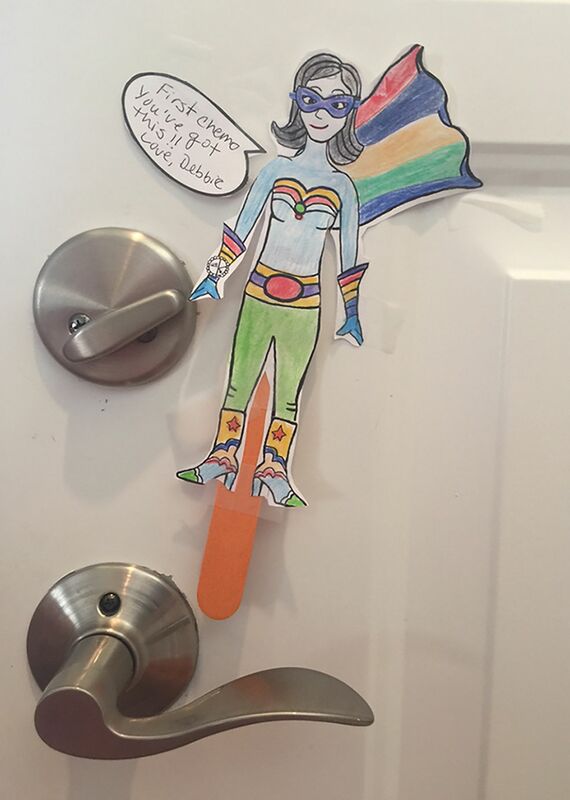 PUPPET: Cut out the Kapow superhero puppet, color it in, write a message in the thought bubble, then place on the cancer patient's front door, mailbox, computer, car to show your support. 3. HELPFUL LIST: Ask the patient or a family member to fill out the "helpful list" so you know what you can do to help. 4. NOT-SO-HELPFUL LIST: Ask the patient or a family member to fill out the "not so helpful list" so you know what to avoid doing or saying. 5. POST YOUR DRAWINGS: Post your drawings on the website www.CancerColoringBook.com and show your support. Wrote John Kelly of the Washington Post in December, Debbie MacDougall "is tackling another difficult subject to bring a little laughter and hope." MacDougall's debut Comic Coloring Book, "Divorce: The Comic Coloring Book," and a tongue and cheek video was released to great success. Like "The Can*** Coloring Book," the 2016 release was inspired by MacDougall's own battle. Her divorce case was named in two separate years as one of the top legal cases in the state of Virginia, eventually making its way to the Supreme Court of Virginia. Of this first book in the series, the Washington Post wrote, "Funny coloring book to ease the sting of divorce." CBS News: "This is no ordinary book." WSTP-Tampa: "Greatest thing I have ever seen… we all need to laugh… all kinds of good things in this book… love the concept." "Since humans process images 60,000 times faster than words, 'The Comic Coloring Book Series' can help people process this tough-stuff quicker and, most importantly, with some humor," says MacDougall of her concept. Available on amazon.com. Create Space, Copyright 2018, $12.95 U.S. Editors, news directors, journalists: For interviews with the author contact Cari Shane.